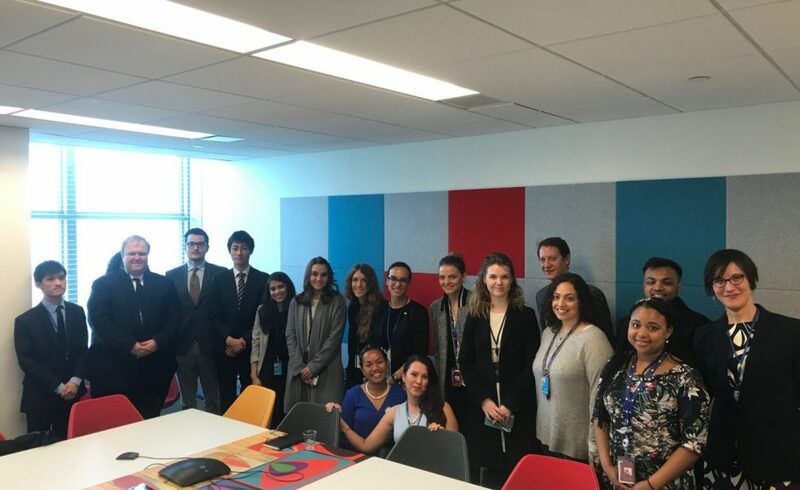 On Friday, April 5th, 2019 Peace Boat partnered with the United Nations Office for Disarmament Affairs (UNODA) who sponsored a luncheon featuring, “Youth Ambassadors Working Towards a Nuclear-Free Future.” The conference was held at the Office for Disarmament Affairs within the UN Headquarters, where participants gathered to discuss the current state of striving for a nuclear-free future. Speakers included Emilie McGlone, Director of Peace Boat US, Selina Leem, a previous Peace Boat Ocean and Climate Youth Ambassador from the Marshall Islands, Christian N. Ciobanu and Rebecca Irby from the PEAC Institute. 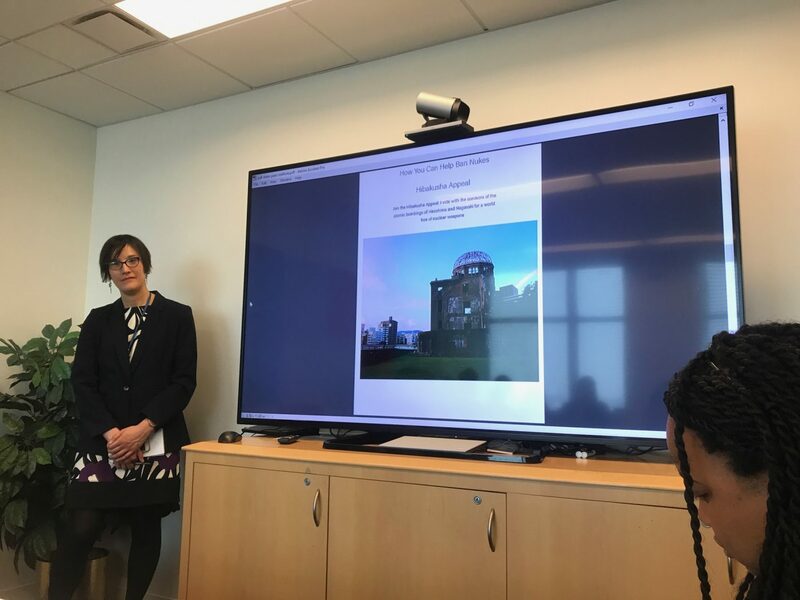 To open the discussion, Peace Boat US Director Emilie McGlone introduced the organization’s educational programs for nuclear disarmament and their current efforts working with the UN towards a nuclear-free world. These activities are being carried out through peace education, study programs, and guest educators onboard during Peace Boat’s Global Voyages. Peace Boat works to bring the voice of civil society to the UN, empower youth, and educates people around the world about various UN initiatives. Peace Boat is proud to have the UN Sustainable Development Goals official logo on its hull serving as a flagship for the SDGs as it travels to more than 100 ports of call each year. Ms. McGlone discussed the goal to use more sustainable energy, excluding nuclear energy citing the Fukushima triple disaster as an example of how nuclear energy has more negative environmental impacts than positive ones. Along with this discussion, Emilie had the participants discuss what thoughts that come to mind when hearing the word “nuclear” and encouraged the participants to think about how we can achieve a nuclear-free world. The participants came up with ideas including: creating more trust among nations, investing more in the youth and education for disarmament. 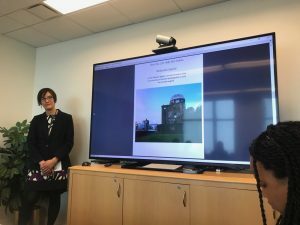 Peace Boat is currently working towards a nuclear-free world with their programs such as the Global University and the Youth for the SDGs Scholarship program. 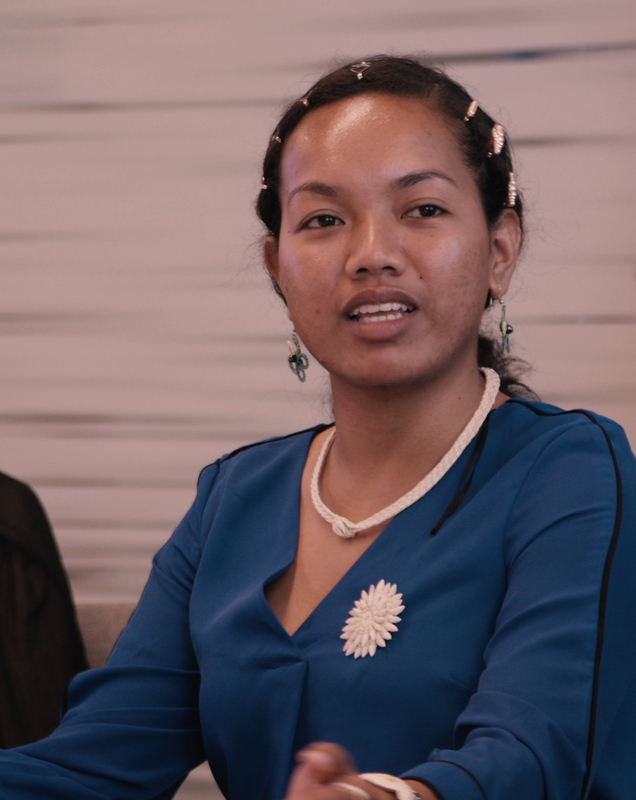 The discussion continued with a testimony from Selina Leem,Peace Boat Ocean and Climate Youth Ambassador from the Marshall Islands. Along with many other island nations, the Marshall Islands was previously a nuclear testing site for the United States, which has left lasting devastating effects on the islands. Selina illustrated how that the Marshall Islands is experiencing climate change effects at an accelerated rate and still suffers the effects of the nuclear radiation, with sea walls rising being one of the most noticeable changes in their environment. Even though nuclear testing is over, the nuclear radiation is still in the atmosphere, thus children who are being born now are facing affects that have been passed down from their parents’ generation. Selina explained how her aunt has lost two children to birth defects and health issues related to nuclear testing. In the Marshall Islands, a dome was built to hold all of the nuclear waste from the tests, however, due to ocean erosion, it is now leaking contaminated waste-water into the ocean. This waste is now affecting the sea life in the ocean, which affects the population’s food and agriculture. The dome is a prime example of how nuclear waste from years ago is still causing problems today and affecting lives. Please see Peace Boat’s Hibakusha Project for a Nuclear-Free World for more information.